Facebook Closed Group– Request to join us! On November 7, 2018, the South Florida Chapter of CHS hosted our 8th annual hospitality outlook breakfast panel at the Hyatt Centric Brickell. In partnership with CBRE, CHS South Florida Chapter hosted 136 alumni and industry friends on May 16, 2018 to celebrate CHS 90th Anniversary. On December 9th, 2017 Lee ‘69 and Mary Pillsbury hosted a beautiful holiday party for the CHS South Florida Chapter in their Ft. Lauderdale home. 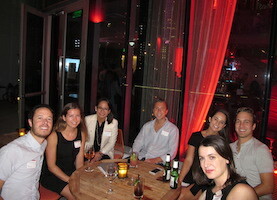 On November 28, 2017 the CHS South Florida Chapter welcomed Dean Kate Walsh and Meg Keilbach to Miami with a cocktail reception at The Conrad Miami. 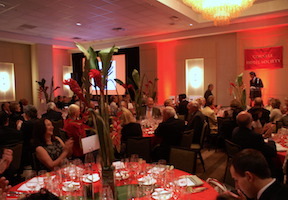 On November 4, 2017, the CHS South Florida chapter hosted the Banfi Food & Wine Festival at The Diplomat Resort & Spa. On Friday, July 28, 2017, Dionisio D’Aguilar, the Minister of Tourism for the Bahamas was honored. On June 14, 2017, the CHS South Florida chapter, in conjunction with the local HSMAI chapter, hosted a seminar entitled, “Why The Hotel Industry Is Embracing Virtual Reality”. 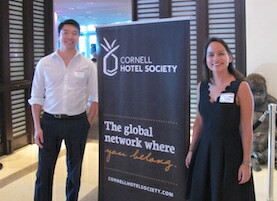 On April 26, the South Florida chapter hosted the second annual Cornell Hotel Society reception in conjunction with the CHRIS/HOLA conferences.